If you’ve been on an outfitted Grand Canyon rafting trip lately you may remember a small box in your registration paperwork that asked if you would like to donate $1.00 per person per day to the Grand Canyon Fund. 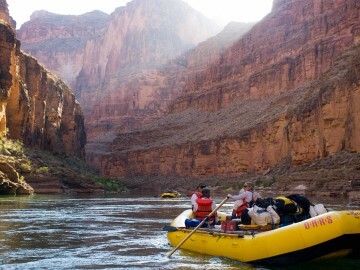 Sixteen outfitters in the Grand Canyon collect these voluntary “pass-through” donations and a whopping 90 percent of all outfitted travelers each year choose to participate. 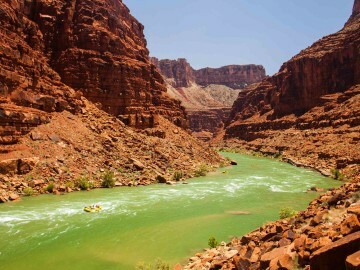 The fund is administered by the Grand Canyon River Outfitters Association (GCROA) and amounts to more than $100,000 per year. 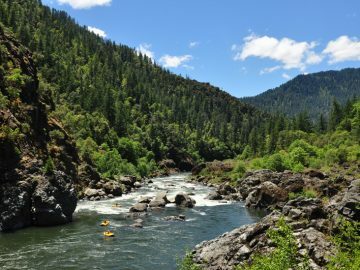 Money is then awarded in the form of grants to non-profit conservation groups and those working to provide access to backcountry outdoor experiences for those with physical and socioeconomic challenges. 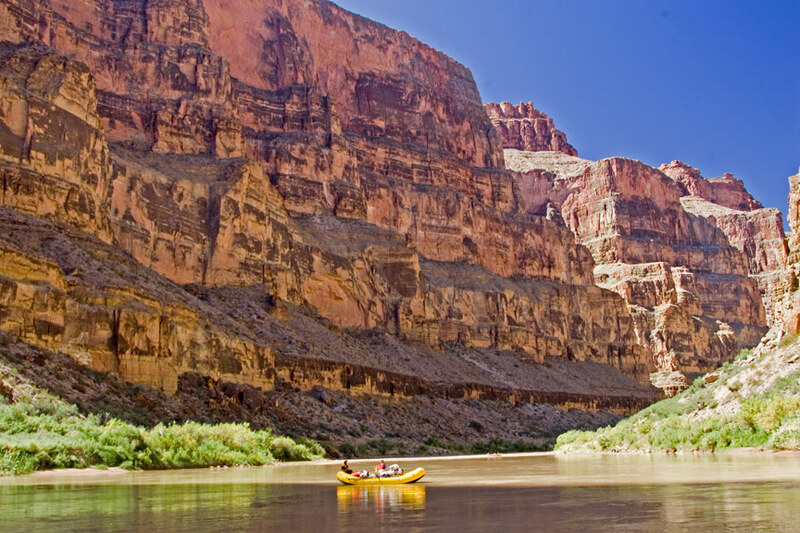 One hundred percent of all donations go directly to protecting, promoting, and conserving the Grand Canyon and providing access to those who would not otherwise have the opportunity to share in the Grand Canyon river experience. Grand Canyon Trust (GCT) is one of the organizations that has received much-needed funding from the GCROA for more than 20 years. We sat down with Program Director, Roger Clark, to learn how the “pass-through” donations they receive from outfitters are being put to use for the Grand Canyon. 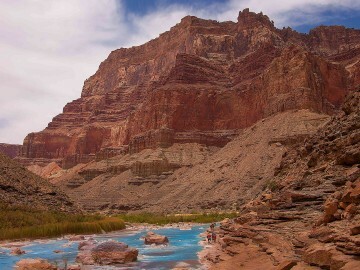 This year, the Grand Canyon Trust’s biggest project, which takes up about a third of Clark’s time, revolved around the Escalade Tramway development. This proposed development, located above the sacred confluence of the Colorado and Little Colorado Rivers, includes a 1.4-mile tramway that would shuttle up to 10,000 visitors per day to the bottom of the Grand Canyon and would feature an elevated walkway and amphitheater below the rim, as well as a hotel and a restaurant. A huge chunk of the donations that the GCT received from the GCROA went to supporting a Navajo group, Save the Confluence, that has worked tirelessly in opposition to the development. 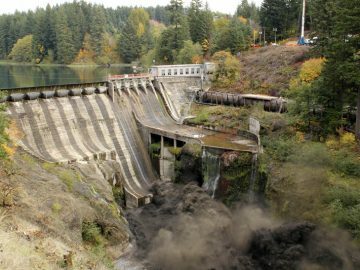 Connecting Save the Confluence with media influencers has been an important part of exposing how culturally and ecologically damaging developer Lamar Witmer’s project is. However, Clark’s favorite part of his job has nothing to do with being on national television. 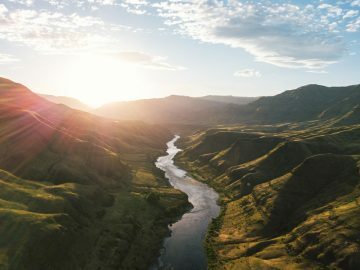 “For me, [working with Save the Confluence] has been one of the most rewarding things I’ve ever been involved with in more than 30 years working in conservation advocacy. Particularly because it’s meant working really closely with wonderful people, mostly Navajo women; grandmothers who have stepped out of their comfort zone and learned how to lobby their own delegates and make public presentations,” said Clark. 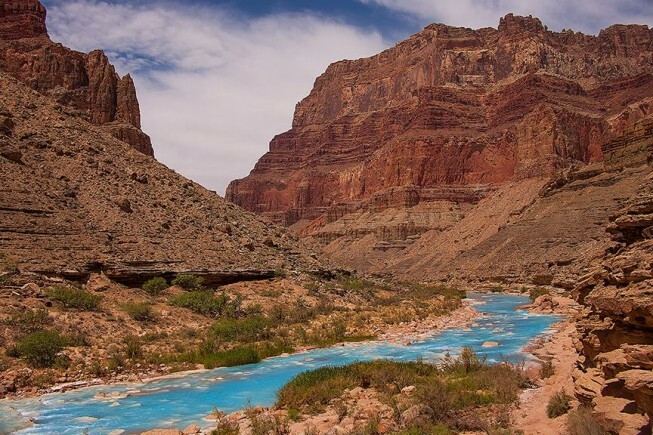 It’s not just the Navajo tribe that opposes the Escalade development; Hopi, Zuni and Supai leaders have also worked to support Save the Confluence. “In some ways it’s brought together groups that, up to now, hadn’t had much of an occasion to talk to each other,” said Clark. “It’s rare to have all of these tribes plus passengers, guides and outfitters agree on something,” noted Clark. “It’s wonderful to find this common ground to work together…When something like this threatens the Grand Canyon, everyone pays attention,” said Clark. Long-term protection also means blocking uranium mining projects. “In 2012 we were able to get any new uranium claims banned for the next 20 years moving forward,” explained Clark. 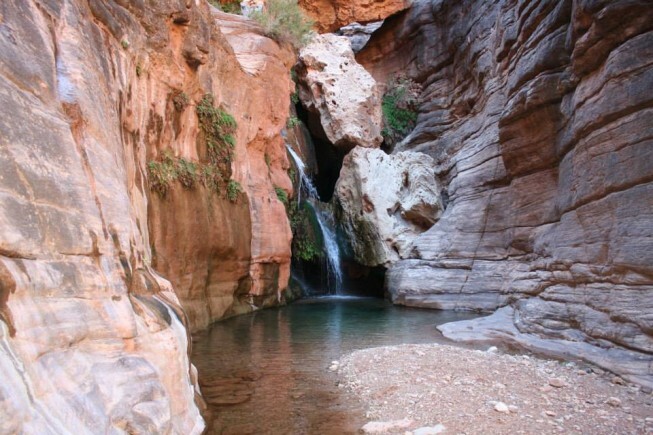 The Grand Canyon Trust is also fighting the Tusayan development project, which threatens to dig deep groundwater wells that will drain Grand Canyon feeding springs. The GCT is also continuing its fight to clean-up the Navajo Generating Station, a coal-fired power plant which has won the infamous title of “largest single source of carbon dioxide in the West,” according to Clark.